Physical therapists are in high demand and the employment outlook for their services over the next 10 years is excellent. However, this doesn’t mean that people will be beating down your door to demand your services. You still need to either find a job or get potential patients to choose your services rather than those at another practice. One inexpensive and effective way to market your services is with a professional bio. 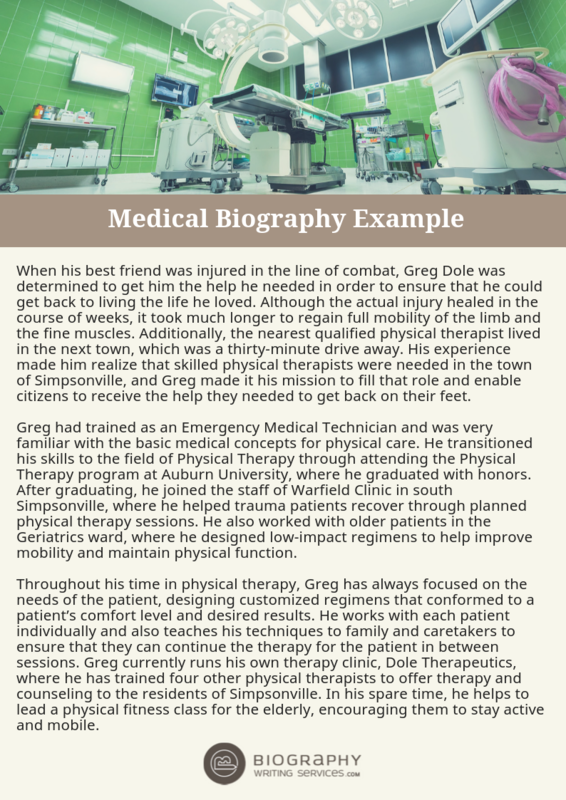 A professional biography for a physical therapist can be used to attract new patients or get the attention of potential employers. It can be posted on a professional website, on various social media sites, accompany your resume among other things. It provides the reader with an overview of your skills and qualifications in the field, establishing your credentials to offer physical therapy services. To write an effective bio for a physical therapist you need to first determine the purpose of the biography and who the audience will be. The two most common purposes for writing a professional medical bio is to attract new patients or get the attention of potential employers. There are other purposes such as to introduce you as a speaker or author on the subject of physical therapy. The purpose of the bio usually establishes who the audience will be. An effective biography targets the audience to help you achieve the particular purpose you have in mind. Once the purpose and audience have been identified, you can select the content to include in the bio that best helps in achieving your goals. To write an effective medical biography you must first examine the purpose of the biography, reason why you write the biography, who you are writing it to and who is the audience. The two most common goals of writing a medical biography are to attract patient or employers. There are other purposes such as author on the subject of physical therapy. The main purpose of a therapist bio is to target the audience in other to achieve a succeeding goal. Name, occupation, contact information, your specialty in physical therapy or work and also the geographical area you live in. Special recognition, awards, degrees and institutions, certificate and additional training you have related to physical therapy should be included. You should also think about including your own hobbies that are relevant and which people can relate to you as a physical therapist. People are also interested to know what type of person you are outside your therapy clinic or hospital. 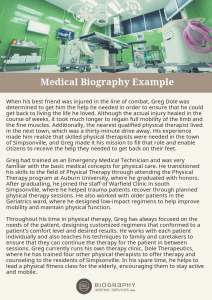 Professional medical biographies such as those for a physical therapist should usually be one page or less in length. They use a narrative style of writing and are written in the third person. Use language that is clear and easy for the average person to understand. Avoid using clichés in the bio. Technical jargon and acronyms should also be avoided unless your target audience is another professional in the same field. Paragraphs should be kept fairly short so that the bio can be easily scanned by the reader. Proofread the biography to eliminate spelling mistakes and grammatical errors. Feel free to ask professional assistance using bio writing services, if you are not quite a good writer by yourself. Professional history beginning with the most recent position and working your way back. Discuss training and education that are relevant. Include the degrees you have and the institutions that granted them. Any special certifications and additional training you have that is relevant to your purpose should be included also. Don’t try to include everything. Limit information to those things relevant to achieving your purpose. As a rule of thumb structure the bio so that the most important information is presented first. It is difficult to write an effective professional biography. 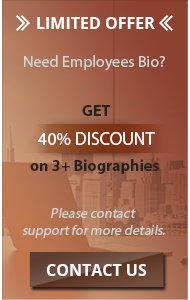 If you are unsure of the best approach or lack time to work on your bio, it doesn’t matter if you need a physical therapist or accountant biography, our professional biography writing service can do it for you. Contact us for an effective physical therapist biography that helps you achieve your goals without crippling your budget!